I read that if I fly 1 airline, I can credit miles to another. Is that accurate? If so, how do I do that? I would like to fly Alaska Airlines soon–I’ve never flown them and would rather earn miles on an airline I fly. Kathy wants to know if she can earn miles on another airline when she flies on Alaska Airlines. Alaska Airlines has 14 partner airlines which Kathy can earn Alaska Airlines miles on when flying a partner airline. But if Kathy rarely flies on Alaska Airlines, she might be better off earning miles on another airline. Kathy can credit her Alaska Airlines flights to 11 airline partners. So Kathy should credit her flights to 1 of the partner airlines that she flies a lot and earn miles on American Airlines, Delta Airlines, Cathay Pacific, Korean Air, LAN, Qantas, etc. Because Alaska Airlines is a partner with American Airlines, Kathy can earn American Airlines miles when flying on a paid Alaska Airlines operated flight or an American Airlines codeshared Alaska Airlines flight. She’ll earn 1 American Airlines mile for every Alaska Airlines mile flown. So if Kathy flies from New Jersey to Seattle on Alaska Airlines she can credit the miles to American Airlines. And Kathy can earn American Airlines elite qualifying miles and points flying on Alaska Airlines. 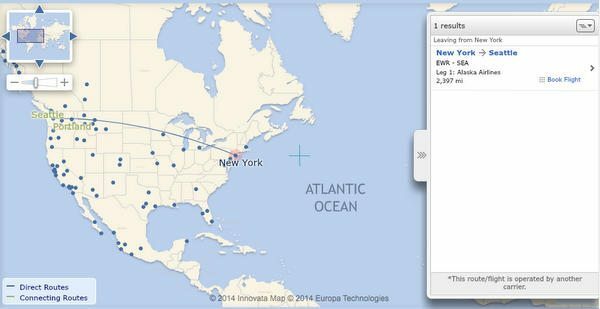 Kathy can earn 1 British Airways Avios point for every mile flown on a paid Alaska Airlines operated coach flight. She’ll earn 1.5 British Airways Avios points for First Class flights on Alaska Airlines. 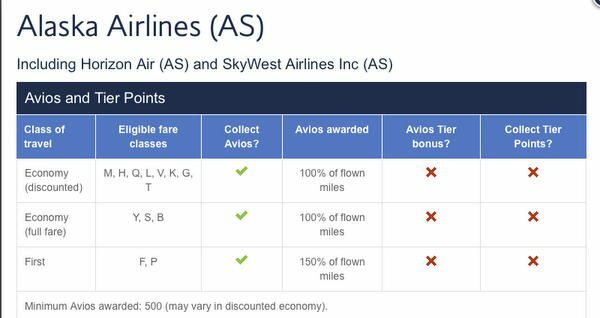 But the British Airways Avios points earned on Alaska Airlines flights won’t count towards elite status on British Airways. 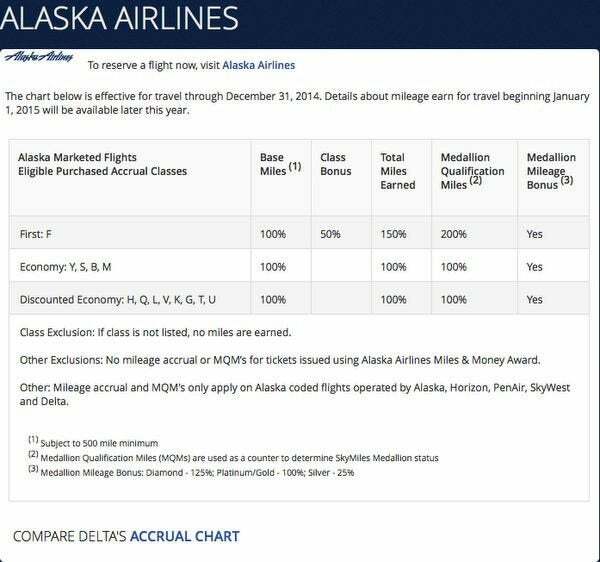 Through December 31, 2014, Kathy can earn Delta Airline miles when she flies on Alaska Airlines. For every mile she flies on a paid Alaska Airlines flight, she’ll earn 1 Delta Airlines mile. 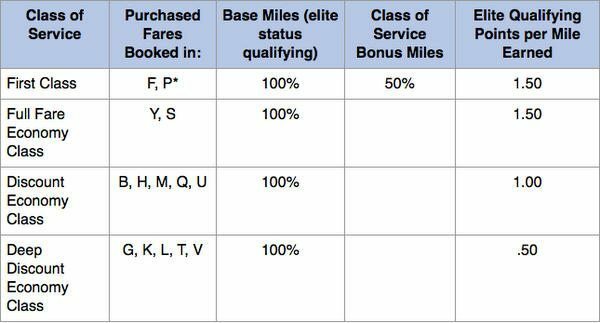 And the Delta miles will count towards Delta elite status. Kathy earns AeroMexico kilometers when she flies on a paid codeshared Alaska Airlines flight. She’ll earn 1 AeroMexico kilometer for every Alaska Airlines mile flown or a minimum of 800 AeroMexico kilometer (whichever is greater). But these kilometers do NOT count towards AeroMexico elite status. Kathy will earn Air France miles when she flies on a paid Alaska Airlines operated flight. But she will NOT earn Air France elite qualifying miles. As an airline partner, Kathy can earn Cathay Pacific miles when flying on a paid Alaska Airlines operated flight. She’ll earn 1 Cathay Pacific mile for every Alaska Airlines mile flown in coach and 1.5 Cathay Pacific miles for every Alaska Airlines mile flown in First Class. 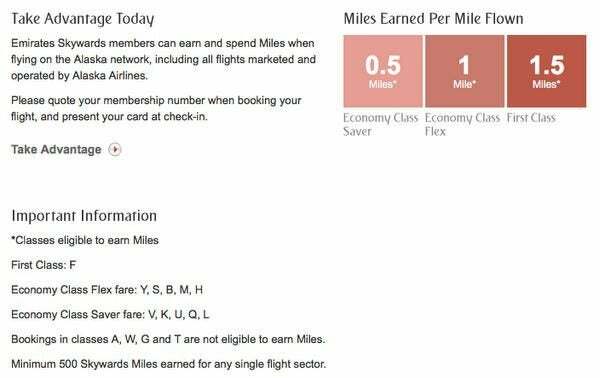 The Cathay Pacific website doesn’t say whether Cathay Pacific miles earned flying on Alaska Airlines count towards elite status on Cathay Pacific. Kathy can earn Emirates miles when she flies on paid Alaska Airlines flights. She will earn .5 Emirates miles flying on paid Alaska Airlines coach flights booked in V, K, U, Q, and L class. 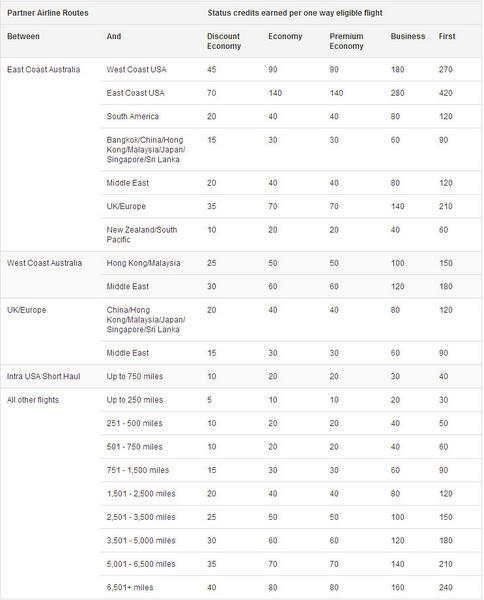 But she will not earn Emirates miles if she books a flight in G and T class which are the cheapest coach fares. Kathy will earn 1 Emirates mile on Alaska Airlines tickets booked in Y, S, B, M, and H which are the more expensive, but refundable coach tickets. And she will earn 1.5 Emirates miles when she flies First Class on Alaska Airlines. However, the Emirates miles that Kathy earns from flying on Alaska Airlines will NOT count towards Emirates elite status. Kathy will earn KLM miles when she flies on a paid Alaska Airlines operated flight. She will earn 1 KLM mile on all paid coach Alaska Airlines operated flights and 1.5 KLM miles on paid First Class Alaska Airlines flights. But those miles will NOT count toward KLM elite status. When Kathy flies on Alaska Airlines she can earn Korean Air miles. She’ll earn 1 Korean Air mile for every paid coach Alaska Airlines ticket, except for the cheapest G fare tickets which earn 0.5 Korean Air miles. And she’ll earn 1.5 Korean Air miles for every paid First Class Alaska Airlines ticket. The Korean Air website doesn’t say if the Korean Air miles flown on Alaska Airlines flights count towards Korean Air elite status. Kathy earns 1 LAN kilometer for every mile she flies on a paid Alaska Airlines operated coach flight. And she’ll earn 1.5 LAN kilometers for every mile flown on a paid First Class flight on Alaska Airlines. Kathy’s LAN kilometer flown on Alaska Airlines will earn LAN elite status. Through June 30, 2014, Kathy will earn 1 Qantas point for every Alaska Airlines mile she flies. On July 1, 2014, Kathy will earn Qantas points based on the distance she flies. These Qantas points will count towards elite status with Qantas. After Kathy books her Alaska Airlines flight, she can add her frequent flyer number to her Alaska Airlines reservation. She can then add her frequent flyer number to her reservation. Note: Although the image below shows Icelandair, it is no longer an Alaska Airlines partner airline. If Kathy forgets to add her frequent flyer number, she won’t earn any miles. Kathy doesn’t fly Alaska Airlines often, so she may not earn enough Alaska Airlines miles for a free flight. So it could be better to credit her flight to another airline. She can also transfer Starwood points to Alaska Airlines at a 1:1 ratio. For every 20,000 Starwood points she transfers, she gets a 5,000 point bonus. 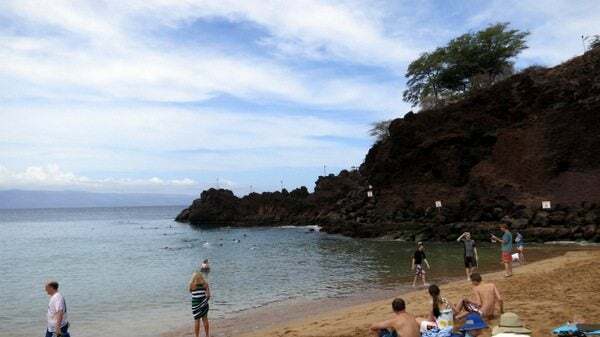 So 20,000 Starwood points transferred to Alaska Airlines becomes 25,000 Alaska Airlines miles, which is enough for a round-trip domestic ticket on American Airlines and Delta Airlines. Kathy can earn American Airlines and Delta Airlines miles when flying on Alaska Airlines. Kathy can also use Alaska Airlines miles on American Airlines and Delta Airlines. You can no longer do this via the AS Web site. You have to call them. Hi, can I also credit to Alaska when I am flying Cathay Pacific? Hi, can I also credit to Alaska when I am flying Cathay Pacific. Hi, I will be flying from NYC area to SYD soon – probably on Qantas. I could also fly on Cathay, etc. etc. Probably flying Premium Economy. Which FF should I use? USAir? American? Alaska? Qantas? Which is best to get credit? 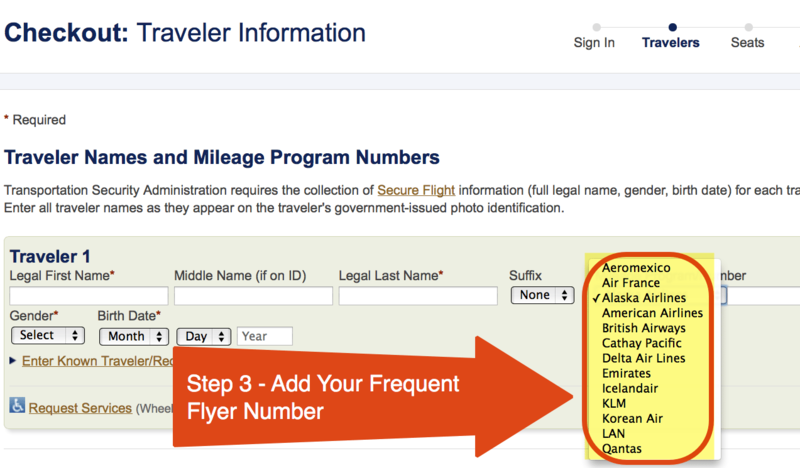 How can I earn Delta MQDs when flying Alaska? Would I have to book the Alaska ticket through a Delta agent? 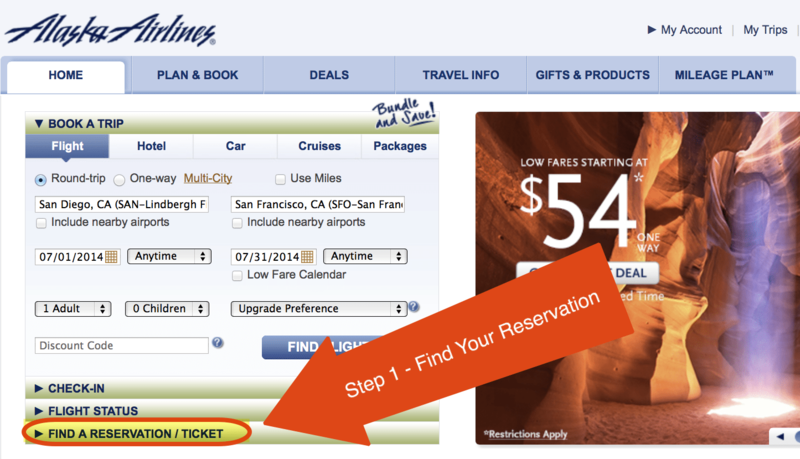 Is the only way to book a code share ticket by calling in?